This User Agreement describes the terms and conditions applicable between Io Technologies and Services Pvt. Ltd. , hereinafter, called the Company, and every person (hereinafter called 'Subscribed User' or User) who avails the service under the domain and sub-domains at http://www.ulsoor.com, hereinafter called the Website. If you do not agree to be bound by these terms and conditions you may not use the website. Reasonable use of the website shall automatically bind the user to this agreement. BY COMPLETING THE SUBSCRIPTION PROCESS AND CLICKING THE "SUBMIT" BUTTON, YOU ARE AGREEING TO BE BOUND BY THE Io Technologies and Services Pvt. Ltd. TERMS OF SERVICES. You must read, agree with and accept all of the terms and conditions contained in this User Agreement, which includes those terms and conditions expressly set out below and those incorporated by reference, before you may become a user of the website. ulsoor.com is only a virtual Venue, which facilitates users find information about local places of business that provide products/services of user interest. The services offered under ulsoor.com is powered by Io Technologies and Services Pvt. Ltd. ulsoor.com is a local business listing, event information, promotion and advertisement media site. It is important to realize that we offer or plan to offer a variety of free services for the subscribers including finding information in the local area that is useful to you from time to time, under various circumstances. However, the Company is not responsible or liable for any incorrect or incomplete information or non-delivery of a certain service. The Company reserves the right to terminate your access to any or all of the services, at any time, without notice, for any reason whatsoever. Subscribed User. To access the full business listing and other free services you must subscribe. As a Subscribed User, you give your consent to receive messages from the Website administrators and its associates and advertisers. In case you do not wish to receive these messages you can unsubscribe from the service by sending a mail to support@ulsoor.com. Identity verification. We use many techniques to verify the accuracy of the users information provided to us when they register on the Website. However, because user verification on the Internet is difficult, the Company cannot and does not confirm the purported identity of users or the validity of the information which users post to the Website. So we are assuming that the information provided by the Subscribed users is accurate and valid. Later by any other means, if we found the Subscribed users information is not valid or inaccurate, we have every right to take legal action against that Subscribed user. The Company reserves the right to change any of the terms, conditions, and notices under which the services are offered. You are responsible for regularly reviewing these terms and conditions including changes/modifications if any incorporated by us from time to time. Your continued use of 'The Website' constitutes your agreement to all such terms, conditions, and notices. The Company makes no guarantees as to the continuous availability of the Service or any specific feature(s) of the Service. The Company reserves the right to change or terminate any or all Services delivered through the Website and/ or alter the terms and conditions of this Agreement at any time with 14 days notice or without notice in some cases. Service termination occurs are addressed in the sections below. Subject to the terms and conditions of this Service Agreement and Indian Law, the Company grants the User an individual, personal non-sub licensable, non-exclusive and non-transferable license ("the License") to use its proprietary software and/or application service, in object code form only, and only in accordance with the applicable end user documentation, if any, and only in conjunction with the Company Service Agreement. The User will not, directly or indirectly, reverse engineer, de-compile, disassemble or otherwise attempt to establish the source code or underlying ideas or algorithms of the software; modify, translate, or create derivative works based on the software/ application; or copy, rent, lease, distribute, assign, or otherwise transfer rights to the software/application; use the software/application for timesharing or service bureau purposes or otherwise for the benefit of a third party; or remove any proprietary notices or labels with regard to the Company products and/or services. As between the parties, the User acknowledges that the Company, and its licensors retain ownership of all propriety applications, software, intellectual property "IP" (Intellectual Property) and any portions or copies thereof, and all rights therein. Upon termination of this Service Agreement for any reason, this License will terminate and the User shall destroy and cease to use all software and applications. THE SOFTWARE IS PROVIDED AND APPLICATIONS ARE OFFERed, "AS IS" AND SUBJECT TO THE WARRANTY DISCLAIMERS AND LIMITATIONS OF LIABILITY FOUND IN THIS SERVICE AGREEMENT AND SUBJECT TO TESTING BY THE USER OR User PRIOR TO ENTERING INTO THIS AGREEMENT. Our services are not available to, and may not be used by, persons under the age of 18 years or to temporarily or indefinitely suspended subscribers. If you are under 18 years old, you can use this service only in conjunction with and under the supervision of a parent or guardian. If you do not qualify, please do not use our services. Membership is allotted to individuals only. Other than individuals such as Business entities, clubs, associations, NGO, organizations, governing bodies, should not entitled to use our service. You must choose a User ID and password on completion of registration. You are responsible for all actions taken under your account and shall only use or utilize the Site using your own User ID and password. You must use every effort to keep your password safe and should not disclose it to any other person. You shall also not permit, either directly or indirectly, any other person to utilize your User ID or password. We are not responsible, if any other person misuses the service by logging into your account. The Company will not be held liable to any third party claims and/or actions taken with respect to services offered. The customer agrees that, by definition, access to the Internet, the GSM and CDMA networks and other communication media is associated with risks concerning authentication, data security, privacy, availability of services, reliability of transmission etc. - The customer agrees to bear full and exclusively responsibility arising from such risks and consequences of the customer's usage of the Website services. It is the Company policy to respect the privacy of the User. The Company will not monitor, edit, or disclose any personal information about the User or the User's Website account, including its contents, without the User's prior permission unless the Company has a good faith belief that such action is necessary to: (1) conform to legal requirements or comply with legal process; (2) protect and defend the rights or property of the Company; (3) enforce this Service Agreement or protect the Company's business or reputation, including without limitation upon termination, cancellation or suspension of this Agreement by the Company; (4) respond to request for identification in connection with claim of copyright or trademark infringement by the User, or a claim by a third party that the User is using the Service in connection with an infringing, illegal or improper activity; or (5) act to protect the interests of the User or others. The User agrees that the Company may access their account, including its contents, as stated above or to respond to service or technical issues. The Website also provides free service to the Subscribed users. You, "The User", also comprehends and concurs that 'This Free Service' may include advertisements and sponsorships and that these are necessary for the Company to provide the service. Various advertisers sponsor free services so that subscribed users tend to get sponsored ads at the end of their messages. 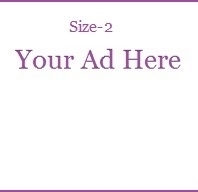 We may serve advertisements to this site or work with a third party to serve the advertisements. Advertisements placed on the site may include but are not limited to banner ads, paid links, pop-up windows, buttons, and sponsorships. You agree that the Company has the right to run such advertisements and promotions. The Service is provided as is without warranty of any kind. The Company hereby disclaims all warranties and conditions with regard to "The Service". The Company's services relating to Mobile Originated ("MO") and Bi-directional messaging are described in "Appendix to HTTP, SMTP, FTP, XML, SMPP and COM API 1.9 and 2.0 MO and Bi-directional Messaging Services Only" ("MO terms"). Should there be a discrepancy between the MO Terms and this agreement, this agreement shall prevail. The Company offers MO and premium rated services ("premium rated services") in certain territories. This is subject to change and can be confirmed with the Website from time to time. Any User wishing to use the Website's premium rated services shall do so subject to such terms and conditions as may be imposed by the Company in its premium rated Quotation forms. The costs associated with the premium rated services shall be as set out in the quotation form. The Company will collect MO messages and pass these on to the User in the methods described by the Company. The User will be responsible for content of the service, as well as the cost of any and all bearer charges to provide the content to the end-client. The User shall not use, or knowingly allow others to use, the lines (MO Numbers) for any purpose, which in the Website's opinion is improper, immoral or unlawful. The User will not act, or omit to act, in any way likely to injure or damage any person, property or the Website's gateway or cause the quality of the MO number lines or Website's service in general to be impaired or interrupted in any manner whatsoever. The Company shall be entitled, at any time, and without liability to the User or any third party, to modify, expand, improve, maintain or repair the Website's service or the MO number ranges, notwithstanding that this may require suspending the operation of the Website's MO service. The Company shall use its reasonable endeavors to provide the User with advance notice of any such suspension and to minimize the duration thereof in so far as this is reasonably practical. The User warrants that their MO SMS Services do not and will not contravene any laws or regulations of the Indian Law, or the countries in which these services are offered, and in particular any laws relating to privacy, spamming, gaming and gambling and the User indemnifies, holds harmless and shall defend the Company against any claim, action or damage suffered or incurred by the Company as a result of a breach by the User of this warranty. PLEASE NOTE: In order to ensure that the Company complies with industry codes of conduct, users are obliged to route all MT messages related or associated directly or indirectly with any the Website's hosted short code via the Website's messaging gateway. This will enable the Website to ensure that all premium rated- and short code messaging services offer the required confirmation messages as stipulated by the various codes of practice and that such messages can be validated as having been submitted. The Company shall be entitled to immediately terminate the User's services if the User does not comply with the provisions of this clause, without any liability to the User or any third party . The User will not be entitled to use any of the Website's trademarks (whether registered or unregistered) or to make reference to the Website in any advertising, publication or communication related to the MO or bi-directional SMS Services or otherwise, other than such usage as permitted bythe Company in writing. Should the User's account be used by users for such networks as the Company charges for incoming messages, the User shall be responsible for such costs in full. These charges are published by the Company from time to time, and can be amended by the Company as and when the Company deems it necessary. The Company shall have the right to subtract such message credits as are necessary to redeem the said charges from the User's account. The Company assumes no responsibility for the deletion or failure to store information. The Company has set no fixed upper limit on the number of messages the User may send through the Service apart from how many units are left in the User's account; however, the Company reserves the right, at its sole discretion, to determine whether or not the User's conduct is consistent with the letter and spirit of the Service Agreement and may terminate the Service if the User's conduct is found to be inconsistent with the Agreement. The Company may, in the future, with prior notification, limit the amount of storage space available to each Member. - Engage in any other activity that the Company believes could subject it to criminal liability or civil penalty or judgment. The Company (INCLUDING ITS OWNERS, EMPLOYEES, SUPPLIERS, INTERNET SERVICE PROVIDE RS, PARTNERS, AFFILIATES AND AGENTS) SHALL NOT BE LIABLE FOR ANY DAMAGE, LOSS OR LIABILITY OF ANY NATURE INCURRed BY WHOMEVER AND RESULTING FROM USE OF THE SERVICE AND THE INTERNET GENERALLY, ACCESS TO THE WEBSITE, ACCESS TO WEBSITES LINKED TO THE WEBSITE, INABILITY TO ACCESS THE WEBSITE; INABILITY TO ACCESS WEBSITES LINKED TO THE WEBSITE, CONTENT AVAILABLE ON THE WEBSITE, SERVICES AVAILABLE FROM THE WEBSITE, PRODUCTS AVAILABLE FROM THE WEBSITE, DOWNLOADS AND USE OF CONTENT FROM THE WEBSITE, AND/OR ANY OTHER REASON NOT DIRECTLY RELATED TO THE WEBSITE'S GROSS NEGLIGENCE AND THE USER EXPRESSLY ACKNOWLEDGES AND AGREES THAT IS AT ITS OWN RISK AND THAT THE WEBSITE IS PROVIDED "AS IS" AND "AS AVAILABLE" WITHOUT ANY WARRANTIES OR CONDITIONS WHATSOEVER, EXPRESS OR IMPLIED. THE COMPANY WILL USE COMMERCIALLY REASONABLE EFFORTS TO MAKE ACCESS TO THE WEBSITE AVAILABLE TO THE USER THROUGH THE REQUIRED ACCESS PROTOCOLS, BUT MAKES NO WARRANTY OR GUARANTEE THAT THE USER WILL BE ABLE TO ACCESS THE WEBSITE AT ANY PARTICULAR TIME OR ANY PARTICULAR LOCATION. Whilst the Company will ensure that the service is reasonably available at all times, and will at all times endeavor to maintain connections to as many aggregators, gateways and Carriers as are, in its discretion, commercially viable and make all upgrades to The User in a commercially reasonable and timely manner, the User acknowledges that the Company cannot guarantee the availability the Website always. Information, ideas and opinions expressed on the website should not be regarded as professional advice or the official opinion or the Company , and Users are encouraged to consult professional advice before taking any course of action related to the information, ideas or opinions expressed on the website.